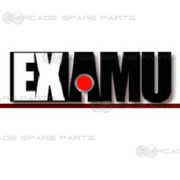 Exclusive to Arcade Spare Parts - Examu Arcana Heart & Daemon Bride Arcade Game Package! The Sega Chihiro system is a Sega arcade system board based on the architecture of the Xbox. Chihiro games are distributed on Sega GD-ROM media. This game board is used in the following machines/games - Crazy Taxi High Roller, Ghost Squad, Gundam Battle Operating Simulator, Manic Panic Ghosts, Mobile Suit Gundam 0079, Ollie King, Outrun 2, Outrun 2 SP, The House of the Dead III, Virtua Cop 3. This is original Gun Assembly for Namco Razing Storm. This is the official Namco 2 player control panel and assembly, and it includes two Sanwa joysticks, ten Sanwa push buttons, and a connection loom. 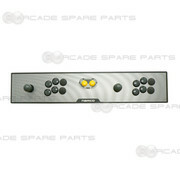 It is suitable for all Tekken series games and plug and play replacement for any Namco Noir cabinet.